One half of a truth unspoken. 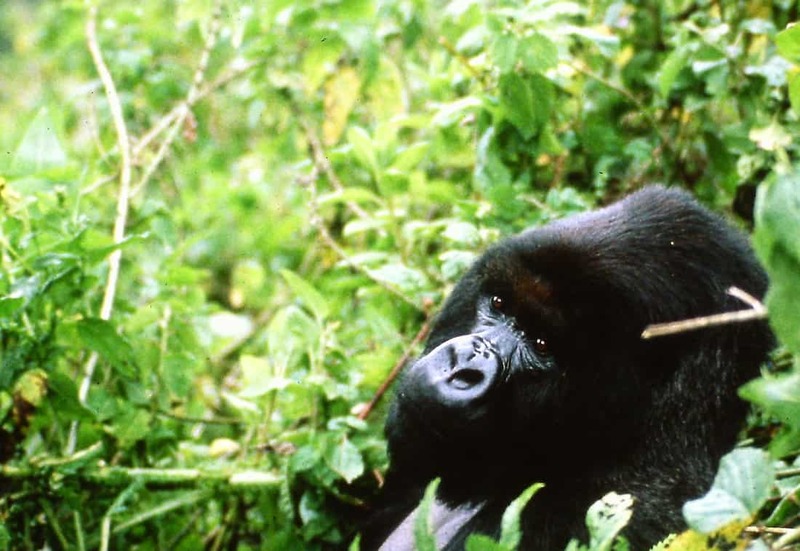 Titus, in life (Photo Credit: Dian Fossey Gorilla Fund International, Inc). This poem is inspired by recent research, which has investigated how wild gorillas interact with their dead. Research has previously shown that it is not just humans that display specific behaviours when interacting with their dead. For example, social insects such as ants and termites remove and bury the corpses of their comrades, whilst both elephants and primates have been known to display both quiet attendance and caregiving behaviours when interacting with same-species corpses. In this new study, the researchers wanted to observe the extent to which social relationships affected the way in which the corpses of primates were treated. In observing several groups of eastern gorillas, the researchers were surprised to discover that the type of behaviours exhibited were independent of the social relationships that the animals had enjoyed in life; with the gorillas typically sitting close to the body and staring at it, but also poking, grooming, sniffing, and licking it. However, whilst the range of behaviours was similar, the individuals who shared close social relationships with the deceased appeared to be the ones who spent the most time in contact with the corpse. This work is not only of interest regarding how animals perceive and process death, but it also has important conservation implications, as such close inspection of corpses can present a serious risk for the transmission of disease. And a Japanese name, amazing. Until yesterday I was on Iriomote, but did not see the famous cat….